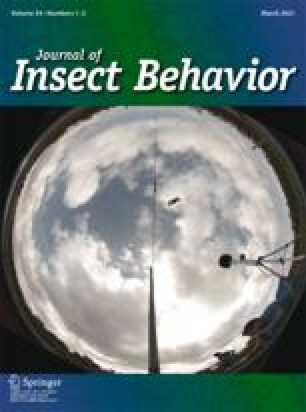 Many social insect species that employ directional recruitment to food finds communicate the location of their targets with seemingly needless imprecision. Here we present evidence that the spatial precision of the honey bees' dance communication has been “tuned” by selection so that recruits are neither so accurate that they usually find areas which have already been depleted nor so inaccurate that they usually fail to find the advertised resources altogether. First, the bees' distance errors are similar in magnitude to their directional errors, and their angular errors decrease greatly with increasing distance to the target (decreasing more than fourfold between 100 and 700 m). As a result, the absolute scatter of recruits remains relatively constant with changing distance to the target (increasing by less than 50% between 100 and 700 m). This is to be expected if the optimal level of imprecision is the same for distance and direction and does not change with the distance of the target from the nest. Second, comparative studies involving three tropical- and one temperate-zone species (all Apis)suggest that the precision of the bees' languages may have been tuned in accordance with the spatial characteristics of the resources each species uses. We suggest that both the round dance, which conveys no directional information for nearby targets, and the high angular divergence in waggle dances indicating targets within several hundred meters of the colony are both understandable in this context.